Executives at companies often wonder why does it cost so much to rent or purchase data of targeted B2B lists? It isn’t uncommon to be charged a $300/M base charge alone for 1X use of a targeted B2B email list or $1.00 per record to purchase this kind of data. Even at these prices, you are lucky if you have 90% accuracy of the email data. Through experience, I have found ways to obtain even better quality targeted data for a fraction of the cost. It can often start by identifying the types of companies, job titles, and # of employees/company sales volume you are interested in. There are some great list sources out there where you can purchase this type of data on a budget, often where you can even specify the types of technologies used. Give thought to if you want to limit the number of contacts per company and if you want certain contacts defaulting to other contacts. Be sure to suppress your other lists including your housefile to only pay for what you need and use a trusted email verification service. You can often find great leads online. Have your prospect list or housefile matched up against primary sources online, such as LinkedIn and company websites with the desired job titles for the decision makers and influencers you need to reach. You may even be able to find great prospects online of members of associations that would be great targets. Don’t be surprised if you need to obtain their phone numbers and email addresses since associations often don’t publish this data online to guard against member complaints. Don’t be surprised if you can also find a list of attendees online at an expensive tradeshow you’d like to exhibit at but may not have the budget for. If this list doesn’t have all the necessary data (e.g. email addresses and phone numbers), with a little ingenuity, you can likely find this data you need. Create a master database of prospects from all sources (e.g. inactive customers, tradeshow leads and attendees, targeted association members, LinkedIn profiles of those you want to reach, leads from niche databases, and purchased lists meeting your criteria). Segment them based upon your needs and send them the right targeted messaging at the right time and watch your sales and profits soar. Also finding a good list broker is like hitting gold. They can help you rent very targeted lists that are difficult to build. I know of a lot of companies that often price their products or services without truly researching what the market will bear. The customer is king but you as a merchant don’t deserve the crown if you leave money on the table so to speak. In some cases, analyzing competition is as simple as researching what a similar (or identical product) costs with competitors reaching your target market/s. This is easier to do with commodity like items. You still need to factor in costs at different levels (e.g. direct from manufacturer/importer, through resellers/distributors, sales reps and agencies, separate companies from the same owner selling via other channels, etc.). You also need to look into sales to the state and government markets. It is critical to learn what your competitors are doing in everything from their website and content to trade shows, PR, marketing materials, strategic alliances, SEO, PPC, what customers say about them and much more. In terms of services, identify your competitors and see what they are charging at different levels for the equivalent service/s you offer. Again, you want to learn everything about them from their website and content to trade shows, PR, marketing materials, strategic alliances, SEO, PPC, what customers say about them and much more. Keep in mind pricing often is negotiable especially in larger quantities or if a supplier is willing to cut prices more to be able to say to others that some prominent Fortune 500 company is a customer of theirs. This often leads to other similar large accounts. A critical item to investigate is unique selling propositions. You don’t need to be the cheapest if you offer the best service or a similar service with some value added features. Identify the unique selling proposition for your competitors as well as their pricing. While you are at it, see if you can size the market for your product or service by channel and market and at a regional, national, and global level. Some companies actually will launch a product or service without doing their homework. This is like constructing a building without the proper foundation. Use the right tools as you build your business. If you take the necessary precautions and hire the best team members to take your company to the next level, don’t be surprised if one day your small building is transformed into a skyscraper or several of them. Many of us actively use sites such as Twitter and Facebook to promote businesses. And those of us who want to connect with more business-related contacts may turn to sites like LinkedIn to develop relationships with people we have worked with or may want to work with. But not every site is oriented toward the business world and its needs. There are a growing number of social networking sites specifically focused on business users and meeting their needs. Here is a list of 42 additional leading social networking sites for business professionals and entrepreneurs including startups that are worth a look. This list is current as of April 2015, and will likely remain very fluid in the future. 1) Affluence.org– Affluence.org is a private social network where wealthy individuals connect, share information and engage in meaningful conversations. Affluence.org also provides exclusive, high quality content and advice from experts on subjects such as art, technology and travel. Membership in Affluence.org reportedly requires a net worth of $1 million (US) or annual household income of $200,000. 2) Biznik– A community of entrepreneurs and small businesses dedicated to helping each other succeed. It is the local, independent entrepreneurial community where collaboration beats competition. 3) Black Businesswomen Online– A social network for African American Women in Business, Entrepreneurs and Bloggers. 4) Black Business Space– Black Business Space is a community of business owners and entrepreneurs. It uses the tagline “Where Networking and Money Meet”. 5) Blogher– Blogher calls itself “A Life Well Said”. It is a community of women bloggers in many areas. 6) Blogster– Blogster is a blogging community that features specific-interest blogs. Blogster members can network and collaborate by creating a blog, commenting on articles and interacting in a diverse online community. programmers. They are looking to find co-founders, build teams, and get advice. 8) Data.com– This site was formerly Jigsaw.com and is now owned by Salesforce.com. The individual option offers an online business card networking directory updated by its more than 2 million members who can easily establish contacts with each other. 9) EFactor– An online community and virtual marketplace designed for entrepreneurs, by entrepreneurs. It is the world’s largest network of entrepreneurs, including over 25,000 vetted investors. 10) Ecademy– A business network for creating contacts and sharing knowledge. It offers online networking for business, offline networking events and global networking groups. It has been around since 1998. Chairman Thomas Power is the ultimate networker, with 23,000+ LinkedIn connections and 741 LinkedIn recommendations. others. This site is not intended for mass self-promotion, but is a positive destination where entrepreneurs can exchange real advice and make lasting connections. 12) FledgeWing– FledgeWing is an online community aimed at entrepreneurial university students launched in February 2009. It provides aspiring student entrepreneurs with the social media connections they need to develop build and launch new companies. 13) Focus– A community focused on helping business decision makers and IT professionals make decisions and share expertise in functional areas of business. The community has numerous categories such as small business, HR, Finance, Sales and Marketing. 14) Go Big Network– This site helps connect companies with investors. Over 300,000 startups have used this community to find funding. 15) Google+– Google’s entry into social networking is called real life sharing, rethought for the web. There are many important people in the technology world who have joined in, sharing their expertise and opinions. 16) Gust – Gust is the site for Professional Investor Relations, from Pitch to Exit. Gust provides the infrastructure for identifying opportunities and managing the investment relationship. 17) Home Based Business Network – This site is an online community and resources for starting a home based business, featuring home business profiles, blogs, forums, videos, ideas, and more. 18) JASEZone– A professional community where you can find potential clients and business partners. 19) Meetup– Helps groups of people with shared interests plan meetings and form offline clubs in local communities around the world. It can be used for professional interests, not just personal interests. 20) Networking for Professionals– A business network that combines online business networking and real-life events in US Cities. 21) PartnerUp– This is an online networking community that entrepreneurs and small business owners use to find the expertise and resources they need to start and grow a business. Members can connect with potential partners, advisers, and business resources such as commercial real estate. software and direct access to experts and investors. 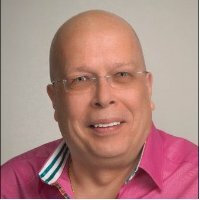 23) PROSkore– PROskore scores and ranks business professionals based on influence and experience using professional history, popularity in social media and peer validation PROskore then uses these scores to help members discover new business opportunities with other members across their network. PROskore currently has over 100,000 members worldwide. 24) Ryze– A business networking community that allows users to organize themselves by interests, location, and current and past employers. It is particularly oriented to new entrepreneurs. 26) StartupNation– This site provides real-world business advice to people who want to start a business and who want to grow their small businesses. It is a free service founded by entrepreneurs for entrepreneurs. 27) Talkbiznow– Based in the UK, this is a comprehensive interactive business networking site for business professionals. 28) The Funded– Entrepreneurs canresearch, rate, and review venture capital sources worldwide here. It is an online community of over 16,500 CEOs, Founders and entrepreneurs. 29) Upspring– You can connect, share, and learn about the professionals and businesses in your community here. 30) Unstucture.org– This is an open discussion platform for business professionals, bloggers and contemporary thought leaders to discuss and debate action ideas that would aid the evolution of business. It also has an annual physical event and has published a book of insight and action ideas for businesses of the future. 31) Ushi.cn– Ushi is the premier business networking site in China. It includes 50,000 CEO- and CTO-level executives and boasts representatives from more than 85% of China’s venture capital and private equity firms. 32) XING– A European business network with more than 11 million members. 33) Yelp– A local business review and talk networking site, including user reviews and recommendations. are passionate about promoting business for themselves and others to network. It was founded in 1999. 35) YouNoodle– This site is a place to discover and support the hottest early-stage companies and university innovation. The members passionately support the start-up ecosystem. 36) Ziggs– A professional connection portal founded on the principles of professionalism and respect. It claims to be your one-stop source for building your online brand, marketing yourself on the web and simplifying communications with people. 37) WaitersToday– An educational, informative, hangout style social network for waitresses, waiters, bartenders, and other restaurant staff. 38) LocalsNetworking– A great site for small business owners looking to increase their referral marketing. All the benefit of referral marketing with none of the hassle, no early meetings or expensive fee, or membership requirements and site is free to join and use. 39) Novertur– This one is for small and mid-sized enterprises to connect with relevant trade partners abroad and B2B services to help them. 40) JASEzone– A professional community where you can find potential clients and business partners. 41) NetworkingForProfessionals– A business network that combines online business networking and real-life events. 42) Plaxo– An enhanced address book tool for networking and staying in contact. or working under a new business model tomorrow. Can you think of any other great social networking sites for business professionals and startups that you use? How have they worked out for you? I’d like to hear about them. 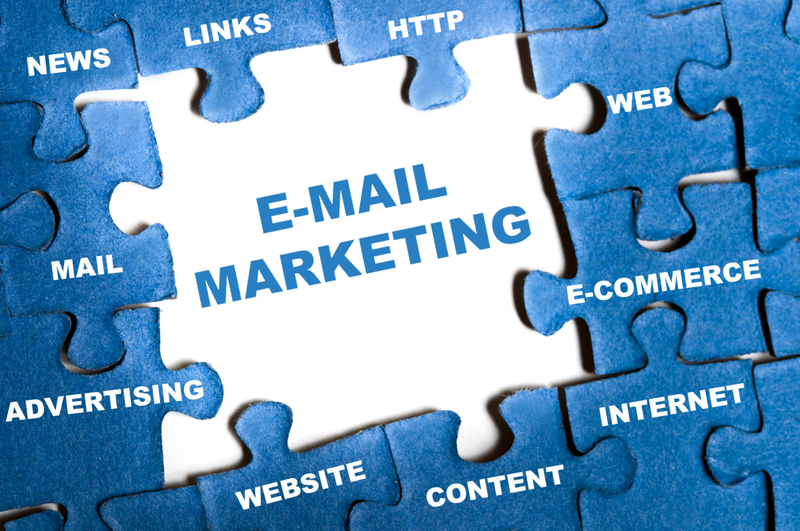 E-Mail Marketing– It is a great, low-cost way to communicate with current, past and potential customers. Increase brand awareness, reinforce and rekindle relationships, drive purchases, and announce sales. Provide reminders, share the latest company or industry developments, distribute content such as blog pieces, whitepapers, and articles, and enable easy sign-up for your website visitors. Tradeshows– Industrial companies often allocate a large portion of their marketing budget to tradeshows. Sadly, they often don’t maximize tradeshow ROI since they don’t communicate enough with their audience before, during and after the show. Social media, e-mail marketing, e-newsletters, mobile apps, and company websites are critical here. Content Marketing– Content is king and you don’t get the crown without a winning content marketing program. It often makes sense to repurpose content in different formats, have a content marketing strategy in place, use an editorial calendar to plan content, and align content to different phases of the buying cycle. Company Website– Here’ a direct quote from Linda Rigano, Executive Director of Strategic Services at ThomasNet that says it all. “Treat your website as if you were hiring a six-figure salesperson. If you were going to put them on the street, what would you do? You’d arm them with information about the marketplace. You’d arm them with information about your products and how people use them. Then you’d put that person in front of the audience and check with them.” Website content needs to be search engine optimized. There is some great software out there that helps with this. Social Media– LinkedIn, Facebook, Twitter, YouTube/Video Sharing Sites, company blogs, and community sites/LinkedIn groups are critical to use/participate in. It is advisable to have social media links from your corporate website. Online Directories/Websites– With so much of business conducted online, industrial marketers have begun to migrate from print to online advertising at directory sites such as ThomasNet, MacRAE’s Blue Book, GlobalSpec, and Industrial Quick Search plus websites including publishers and associations. Trade Magazine Advertising– Industrial marketers still spend a fair amount on trade magazine advertising. This is often done to generate sales leads and for corporate branding. Tracking leads from ads helps you get the most bang for your ad buck. Wherever possible, include a unique promo code for your ad and phone extension for tracking purposes. Public Relations– Reach out to targeted media with announcements on new products and services, company news, new appointments and distributors, and more. Engage with editors and help them out by submitting appropriate content for upcoming editorial opportunities and pitch mutually beneficial story ideas. You can distribute via major newswires and can reach major media outlets, bloggers, and radio and TV people as well. Internet Banner Advertising on Individual Sites– This is a great way to get website traffic/leads from relevant websites. Blogs– They are great way to create authority and credibility, offer relate-ability by having a personality, drive search engine results, repurpose content, and most importantly generate qualified leads. Search Engine Optimization (SEO)- Industrial marketers determine the most valuable keywords/keyword phrases and feed Google, Yahoo, and Bing the necessary content from company websites and other content vehicles that can be crawled from the web. Being found on the first page of search engine results substantially improves lead generation. This is often accomplished through a combination of on-page and off-page activities that meet Google’s Quality Guidelines and utilize industry best practices. Keep in mind search algorithms keep changing and you need to keep creating new content or your site can quickly lose relevance with search engines. Paid Advertising (PPC)- It makes sense to target high value keywords or specific niche opportunities. Pay per click campaigns can be structured and managed to deliver a positive ROI. There are proven pay per click management strategies to drive traffic to your website, improve on-site conversions, and control costs. Building a PPC campaign that leverages industrial keyword research and real world business knowledge gives you a distinct advantage over competitors. It is best to focus on relevant traffic and improve the quality rather than quantity of leads. Videos– Videos enable you to convey thought leadership, show how products work, and even replay your webinars. They can be featured on your company website, YouTube channel, and can be shared via e-mails and social media. Direct Mail– Direct mail is far from dead. With B2B mailings down substantially, it presents an opportunity to stand out from the crowd when you mail something relevant that subliminally screams ‘open me’. Webinars– Webinars are live meetings that take place on the web. The meeting can be a presentation, discussion, demonstration, or instructional session. Participants can view documents and applications via their computers, while shared audio allows for presentation and discussion. They are a great way to generate leads which can be converted to customers. Printed Directories– While the mighty Thomas Register is no longer printed (it is now ThomasNet online), there are still various printed directories such as manufacturers by state from Manufacturers News, product and service annual directories from publishers, plus tradeshow and association directories. Internet Banner Advertising Networks– Services such as Google AdWords allow you to place ads on a variety of news sites, blogs, and other niche sites across the internet to reach more potential customers. Telemarketing– One of the ways industrial marketers can generate qualified leads for salespeople is via telemarketing to qualified lists of prospects and past customers. 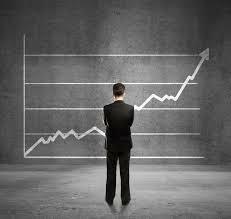 It is best to track performance of outside telemarketing firms to ensure you are getting sufficient ROI. While the above are all channels industrial marketers use, it is better to do a great job in a select few critical channels such as digital channels that drive sales and profits rather than a mediocre job with all. What has been your experience with the above marketing channels? Have I missed any important marketing channels for industrial marketing? Tony Kadysewski is a fun guy who grew up in the print world. He had a dream and transformed it into a high traffic blog for a very specific vertical market, retail and P.O.P. fixtures. He learned social media best practices the hard way and creates and maintains site content all in his spare time. You never know what will appear in Tony’s 3-4 FixturesCloseUp posts each day. 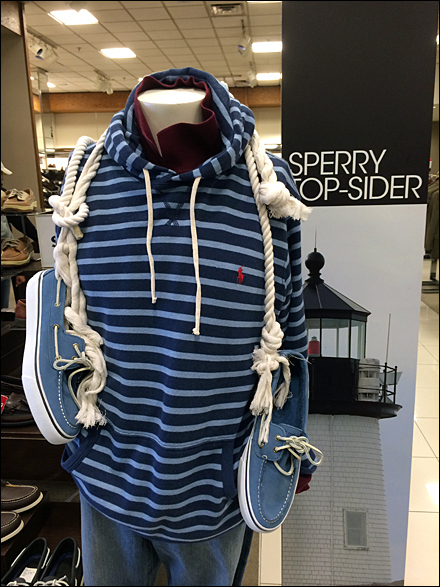 For example, the image above is from his post on Sperry Top-Sider knot ties. The average person may not be interested in them or how they are displayed, but if you are a retailer looking for new display ideas, seeing this and other similar posts could be the equivalent of hitting the jackpot in Atlantic City. Content is king, especially when it is engaging content. FixturesCloseUp has a 4 year online history: is Google verified; includes nearly 4,000 published posts; over 6,800 images on a 370 board Pinterest site; an established Twitter channel; RSS and email feeds; the FixturesCloseUp Trademark and registered domain name; plus 1,000+ pre-written draft posts (enough for 1 year of outreach), and maintains ongoing pre-scheduled posts running 3 months ahead through October 2014+. Tony has a wide range of interests and FixturesCloseUp is truly his baby. When he asked me to help him find a new home for FixturesCloseUp so he had more time to devote to other interests, how could I say no. I know FixturesCloseUp will always be close to his heart and that of an ever-growing group of retail and P.O.P. 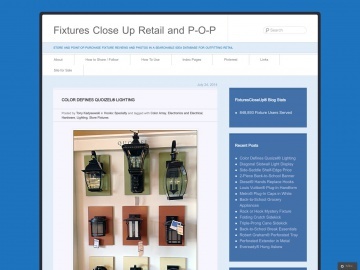 fixtures users. I also know he will ensure the transition goes smoothly. Tony and I truly look forward to seeing some lucky publisher, fixture manufacturer/distributor, and/or entrepreneur take Fixtures CloseUp (and their business) to the next level. 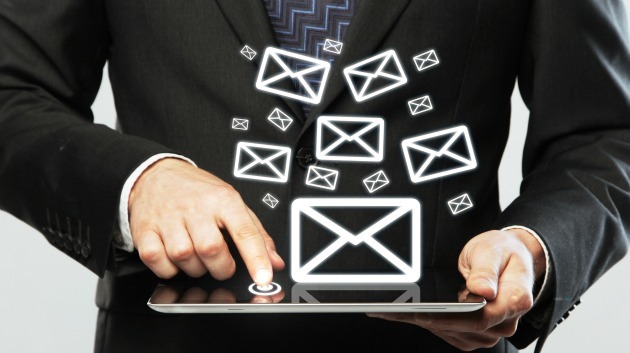 Did you know that marketers sent over 838 billion e-mails in 2013? That’s almost 9 times as many direct mail pieces the U.S. Postal Service delivered. I know the types of stats you’re looking out for: numbers on e-mail engagement and frequency, mobile optimization, and ROI. Data is power, which is why I have put together this list of 73 essential statistics every e-mail marketer needs to know. I know firsthand just how profitable e-mail marketing can be. One of my e-mail campaigns generated $700,000 in profits on a minimal investment. 1. Email marketing has an ROI of 4,300%. 2. For every $1 spent, $44.25 is the average return on email marketing investment. 3. Companies view email marketing as a better return on investment than PPC, content marketing, social media, offline direct marketing, affiliate marketing, online display advertising, and mobile marketing. 4. 60% of marketers believe email marketing produces positive ROI. Takeaway: E-mail marketing should be taken more seriously. Integrate e-mail with your overall marketing mix and consider allocating more internal and/or external resources to e-mail marketing. 1. Nearly two thirds of marketers rate their company e-mail as poor or average and less than 4% rate it as “excellent”. 2. 91% of consumers check their e-mail at least once a day. 3. 56% of businesses say they plan to increase their use of e-mail marketing in 2014. 4. 42% of marketers use e-mail service providers for services beyond e-mail broadcasting. This is up 12% from 2010. 5. Companies that use an e-mail service provider are more likely to be satisfied with their e-mail marketing than companies who do not. 6. Less than half (41%) of companies are using more than half of their e-mail system functionality, which has not improved since last year. 7. In addition to broadcast e-mail, measurement and analytics, personalization, automated campaigns, and segmentation are the popular services provided by e-mail service providers that marketers tap into. 8. 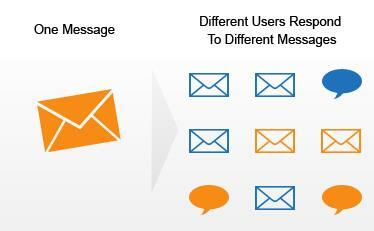 Businesses are looking for deeper integration of e-mail with other business functions. The most common barrier to integrating e-mail with overall business strategies is disconnected systems and technologies. 9. Only 8% of companies and agencies have an e-mail marketing team. E-mail marketing responsibilities usually fall on one person as a part of her wider range of marketing responsibilities. 10. There were 3.6 billion e-mail accounts in 2013. 11. By 2016, the number will reach 4.3 billion. 12. 54% of e-mails sent by businesses are marketing messages. 13. 838 billion marketing messages were sent in 2013. 14. 91% of consumers check their e-mail daily. 15. 72% of B2B buyers are most likely to share useful content via e-mail. 16. 56% of businesses say they plan to increase their use of e-mail marketing in 2013. 17. 27% of consumers were more likely to say their favorite companies should invest in more e-mail. 18. 1 in 2 marketers use animated gifs in their e-mail campaigns. 19. E-mail ad revenue reached $156 million in 2012. 20. E-mail marketing spending grows 10% year over year. 21. 40% of B2B marketers rated the leads generated by e-mail marketing as high quality. 23. The average clickthrough rate for B2B marketing e-mails in Q2 2013 was 1.7%. 24. 59% of companies are integrating e-mail and social channels together. 25. 17% of marketers don’t track or analyze e-mail metrics for their organization. Takeaway: An e-mail marketing plan should be developed that is fully integrated into your overall marketing mix. Have an e-mail marketing calendar created to maximize engagement and sales with your active and past customers and prospects and have e-mails sent out regularly. 1. E-mail is the most popular activity on smartphones among users ages 18-44. 2. Over half of smartphone users grab their smartphone immediately after waking up. 3. 64% of decision-makers read their e-mail via mobile devices. 4. The #1 e-mail client for Gmail users is the iPhone’s built-in mail program, with 34% of all Gmail opens. 5. 32% of marketers do not have a strategy in place to optimize e-mails for mobile devices. 6. 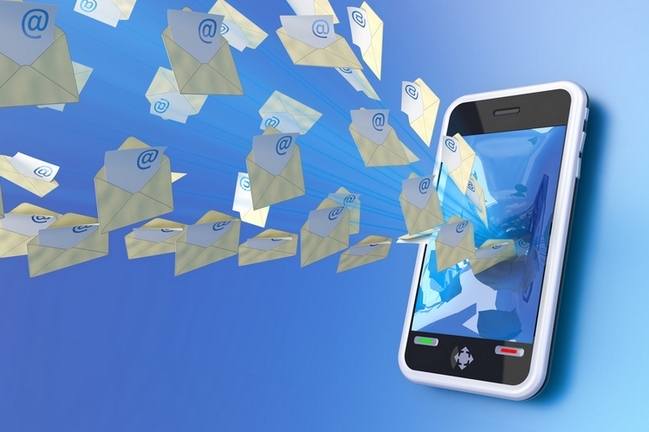 39% of marketers have no strategy for mobile e-mail. 7. 48% of e-mails are opened on mobile devices. 8. Only 11% of e-mails are optimized for mobile. 9. 69% of mobile users delete e-mails that aren’t optimized for mobile. 10. Women click 10% more often than men on mobile e-mails. 11. 25% of e-mails are opened on iPhones. 12. 64% of decision-makers read their e-mail via mobile devices. Takeaway: Keep mobile at the center of your e-mail marketing plan. Make sure links in your e-mails are optimized for mobile and readers can continue to engage via mobile. Subject lines are more important than ever. 1. 66% of US online consumers, ages 15 and up made a purchase as a result of e-mail marketing messages. 2. Over 70% of mobile purchasing decisions are influenced by promotional e-mails. 3. Over half of businesses achieve over 10% of total sales through e-mail marketing. 4. 44% of e-mail recipients made at least one purchase last year based on a promotional e-mail. 5. 7 in 10 people say they made use of a coupon or discount from a marketing e-mail in the prior week. 6. 66% of consumers have made a purchase online as a result of an e-mail marketing message. Takeaway: E-mail marketing is a powerful sales channel. It represents a growing % of company sales and profits. 1. Nearly one third of e-mail recipients open e-mail based on subject line alone. 2. Subject lines fewer than 10 characters long has an open rate of 58%. 3. Personalized subject lines are 22.2% more likely to be opened. 4. Crazy subject lines generate opens but will damage subscriber relationships. If you use a subject line such as “Free books”, you better actually offer free books. An exciting subject line that gets someone to open an e-mail but leaves them with nothing special in return can have a negative effect on your business in the long-term. Why would a subscriber open your next e-mail if they no longer trust you? 5. Using “Alert” or “News” or “Bulletin” in subject lines significantly boosts open and click-through rates. 6. Using “Daily” or “Weekly” in subject lines boosts open and click-through rates whereas “Monthly” hurts open rates and click-through rates. 7. Using the words “Sale” or “New” or “Video” in subject lines boost open and click-through rates. 8. For B2B companies, subject lines that contained “money,” “revenue,” and “profit” performed the best. 9. 64% of people say they open an e-mail because of the subject line. Takeaway: The key to higher opens and click-through rates is consistency (daily or weekly), urgency (alert, news, bulletin), and special offerings (sale, new, video). Don’t use insane subject lines unless they deliver as promised. Run A/B Split Tests for subject lines when sending e-mails. 1. Almost half of subscribers are inactive on an e-mail list. 2. 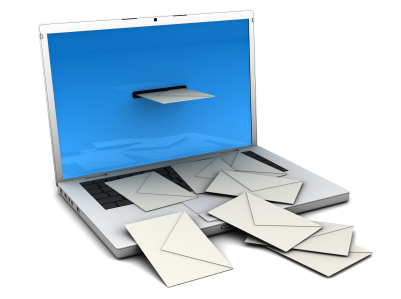 Over 20% of marketing e-mails never make it to a subscriber’s inbox. 3. E-mail open rates are noticeably lower on weekends than on weekdays. 4. Sending four e-mails in a month instead of one significantly increases the number of consumers opening more than one e-mail. 5. 76% of e-mail opens occur in the first two days after an e-mail is sent. 6. Gmail opens have decreased by 27% since May. 7. 82% of consumers open e-mails from companies. 8. Suppressing anyone in your list who hasn’t engaged with your e-mails in over a year increases your deliverability rate by 3-5% immediately. 9. Less than 1 in 2000 subscribers mark an e-mail as SPAM. 10. This year, about 84% of all e-mail traffic will be spam. 11. Roughly half of an e-mail list will be active – either opening or clicking on e-mails. 12. Lists are responsible for 50% of the success or failure of a mailing and e-mailing campaign. Takeaway: Clean out your e-mail list every few months and avoid sending on weekends. When selecting e-mail marketing software, make sure deliverability is strong. 1. Design and content is the most time-consuming e-mail activity for marketers and it is taking away from spending time on testing and optimization. 2. 17% of marketers are not tracking e-mail marketing metrics for their organizations. 3. E-mails that include social sharing buttons have a 158% higher click-through rate. 5. A winning subject line test can beat a long-standing control by 100% or more. Takeaway: Use e-mail tools to spend less time designing and more time on testing and optimization. These statistics tell a compelling story. E-mail is still the preferred mode of communication, is still biggest driver of new leads, has an astronomical ROI, and should clearly be one of your top marketing priorities.